Connie Brannock – Sharing the joy of music! Connie Brannock is an R&B Force of Nature! She took the Tucson music scene by storm after she retired from the Army National Guard as Command Sergeant Major, and in 2009 she re-upped as a hot-ticket bandleader and patented R&B artist with enticing authenticity. 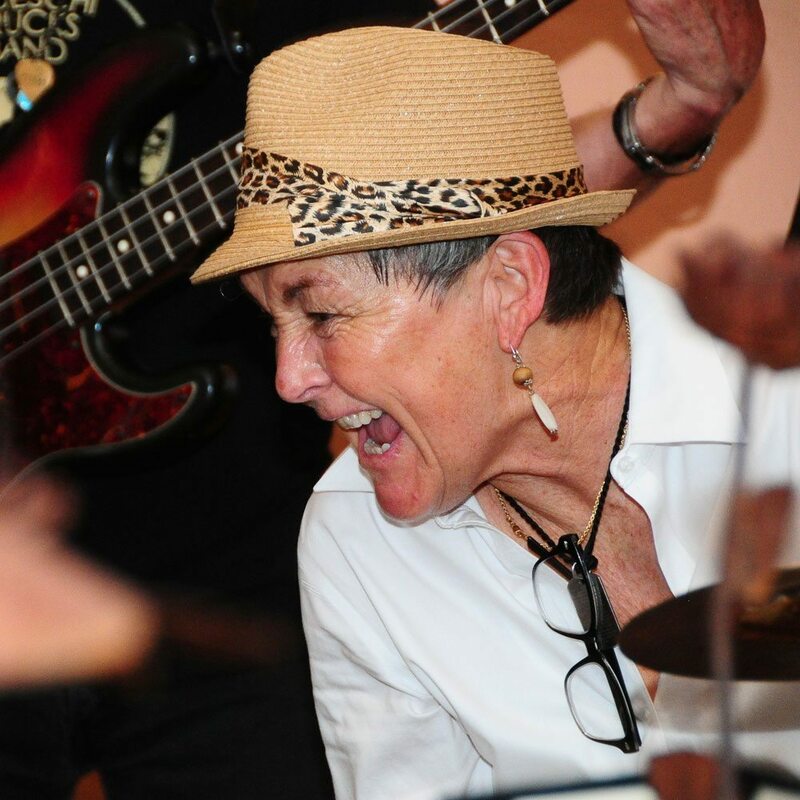 Vocalist, songwriter, percussionist, poet, she leads Connie Brannock’s Little House of Funk and the Connie Brannock Quartet. Ask the robust, happy crowds throughout the Southwest—her live shows are exhilarating! Connie was an entertainer out of the gate. Serious sorties began in high school when her band Luke performed throughout the mid-Atlantic—from Philly to Virginia Beach, to the Princeton Club and William & Mary College. She trekked west in the late 70’s, crooning with the Bill Brown Band in Salt Lake City and San Francisco. Back in Utah, she formed another hot tamale group, Connie and the Rhythm Method with David Jette. In demand, they toured Boise, Moab, Missoula, and performed at the Hollywood Palace in Los Angeles. In 1986 Connie Brannock won the Stroh’s Superstar Talent Search and was signed by MCA Records. Caleb Ruffin, with Sounds of Success (S.O.S. ), recruited her to move to Atlanta and work on a single. Instead, she up and joined the service just before her 35th birthday. Connie served admirably for 21 years and deployed twice in Operation Iraqi Freedom. A compelling leader, she has been a mentor to many young men and women and believes that leadership is an act of love. Connie’s taking off with the debut of her new album, Lady on the Bus. Silky, edgy, timeless; experience her grooves for yourself —your feet will smile, and you won’t stay seated for long. If you like Sly and the Family Stone, Laura Nyro, Koko Taylor or Todd Rundgren, then you’re gonna love Connie Brannock!